Africa’s Blue Economy – the New Frontier? The goal is to enable young people to find jobs in the maritime industry. He suggested a post-Blue Economy Conference workshop to create awareness and enhance community participation in this vision for the future. 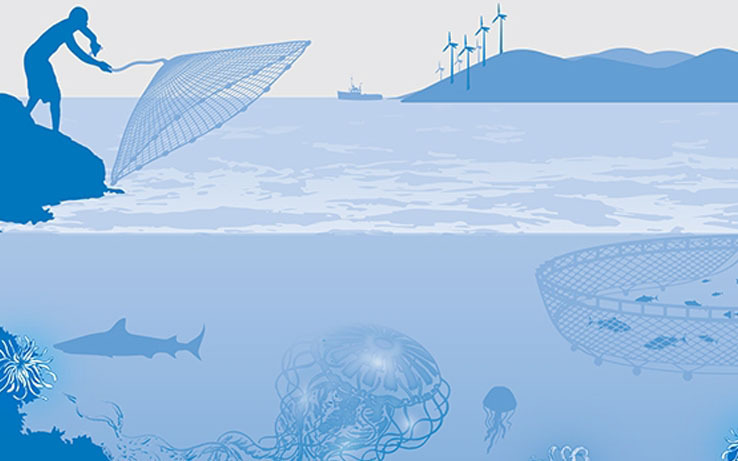 The topic prompted the World Bank last year to release a report called “The Potential of the Blue Economy” on sustainable use of marine resources for small island and coastal least developed countries. But the initiative is also worrying to those who see a ‘global ocean grab’ by the rich and powerful, deciding who shall benefit, who should decide how much to fish and where. A drive for maximum profit is underway and small-scale fisher people fear a “global ocean grab’ is in the works. Multinational corporations, states, NGOs, speculative investors and many others are behind a ‘power grab’ to gain control of aquatic – ‘blue’ – resources, critics charge. Fishing sits at the forefront of debates about how to make the most of the blue economy while preserving a fragile ecosystem, observes Jeremy Prince of Murdoch University’s Center for Fish and Fisheries Research in Perth, Australia. Support has been promised to the African Union from the Economic Commission for Africa to ensure that the untapped potentials of the blue economy are fully realized.